Post originally published at Techsoup Canada’s blog. Nonprofits depend on fundraising to provide social services, whether we’re talking about a public health advocate, flood relief organization or women’s shelter. Much of that money comes from large donors, government budgets, and corporate social responsibility schemes, but nonprofits also keep running thanks to small, individual contributions. You’ve probably made a small donation yourself to an organization you value. 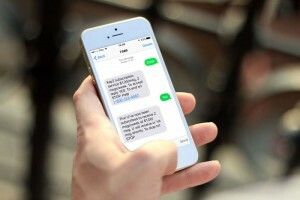 Thanks to text messaging, giving funds to the nonprofit of your choice is becoming easier. This is good for both donors and nonprofits. By making it as easy as possible to donate, organizations are increasing their budgets and improving the quality of their services. The process is easy, effective and inexpensive; no credit cards, registrations or regular donation sign-ups required. An ongoing fundraising campaign by UNICEF uses text messaging to raise money for the children of Syria as the country suffers from a terrible winter food and medicine shortage. UNICEF has placed banners in the Toronto subway system containing strong messages showing the plight of Syrians. The banners also include a call to action and a phone number: one SMS donation worth $10 is equal to one blanket, which can help at least one child survive the winter. This campaign combines a heartfelt call to action with an extremely easy method for giving. As a result, young lives will be saved. 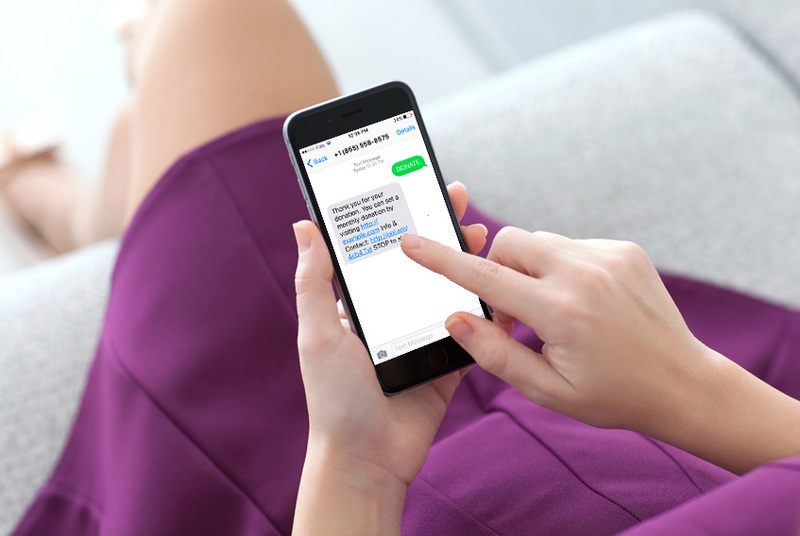 Nonprofits also use customized ‘thank you’ SMS messages to maintain donor loyalty. As a donor, you give because you care, but simply giving money or a pint of blood may not elicit a strong emotional response. Being reminded that your contribution helped a real human being, however, is a powerful experience. Nonprofits encourage donors to give again by letting them know how much they’re appreciated. For example, donors to Sweden’s Stockholm blood service receive a customized text message when their donated blood saves someone’s life. It creates a strong emotional connection between the donor and organization, encouraging them to come back and give again. Knowing the human value of your contribution makes all the difference. 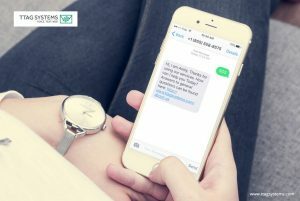 Nonprofits are also finding that text messages are a useful tool for reaching existing and potential donors with customized content. Market research helps these organizations identify potential donors. If you know someone cares about a specific cause, why not give him or her an opportunity to opt-in and receive relevant content? To highlight the value of this message, consider Toronto Zoo’s pet adoption program. Donors can contribute money to the wellbeing of a specific animal. By giving a minimum of $25 you can become the pet’s ‘parent.’ In return for their donation, donors receive a certificate of adoption, animal fact sheet, newsletter and acknowledgment card. All of this helps remind the donor of the value of their contribution. Now imagine how the pet adoption program could be augmented by text messaging. Visitors to the Toronto Zoo can receive the option to opt-in to learn more about the program. Those choosing to become pet parents could then text message updates about their furry or scaly friend. Messages could include info about the pet’s birthday info, wellbeing, links to video footage and/or facts about their funny habits. By adding an SMS component to an already great program, the zoo can provide a unique experience and feeling of real adoption for pet parents. For the zoo’s benefit, this is a great way to engage donors and encourage lasting loyalty. Donating to a nonprofit isn’t like purchasing a product, a consumer activity that depends mostly on the quality and price of the good offered. Donating is more closely related to human emotions, meaning that the donor’s reaction to simple social interaction is vital. Using text messages to let people know that they are truly making the world a better place adds value and effectiveness to nonprofit fundraising activities. 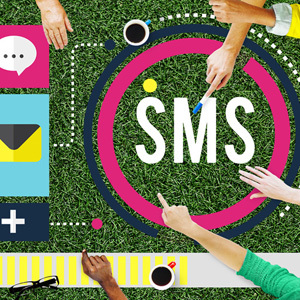 With textLabTM SMS Marketing Software you can create engaging and interactive mobile marketing campaigns to quickly engage customers who like to text. Let our experts bring your business to the next level. Contact your Toronto SMS Marketing experts today for your next project.